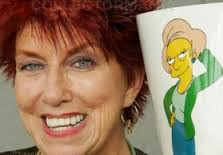 Al Jean ( executive producer " Simpsons " ) said in a statement that " i was saddened to know this morning of passing of the brilliant and gracious Marcia Wallace and said that rumors the T.V show has already planned to retire Marcia Wallace character was not true. " Marcia Wallace passing away is unrelated and again , a great loss for all who had pleasure of knowing her. In 1970's Marcia Wallace starred for six seasons as Carol Kester on " The Bob Newhart show" and also repeated the role on " Murphy Brown" in 1990's . In 1970's and 1980's , Marcia Wallace was regular star guest on the on many popular shows like, " Fantasy Island, The love Boat, Night court, Charles in charge , Gimme a break, Magnum , P.I . Marcia Wallace was also mainstay on many popular television game shows , such as " The Hollywood squares, password and the $ 25000 pyramid . In the past years she also advocated for awareness of breast cancer .